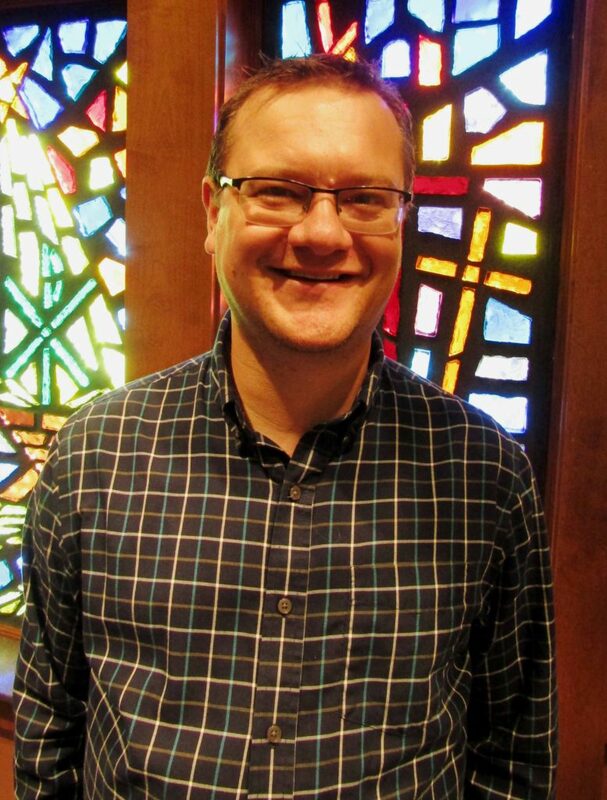 Pastor Kent attended Augustana College and Luther Seminary and was ordained in 1984. 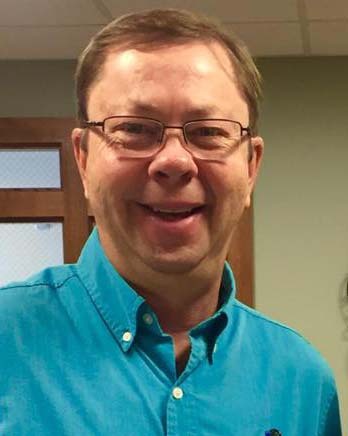 He has served congregations in Fallon, MT, Lake Preston, SD, Spearfish, SD, Alexandria, MN and Watertown, SD. Kent and his wife Holly have 3 children: Kevin and wife Mara in Sioux Falls; Paul in Spearfish and Karise in Rapid City. In his spare time, Kent enjoys doing outside work when the weather is favorable and woodworking when it’s too blasted cold to be out. Though the Stillsons live on Lake Kampeska near two golf courses, Kent neither golfs nor fishes. They do enjoy walking and the incredible views of God’s grand creation. I grew up on a farm near Vermillion, SD. I have 4 brothers and a sister. My family has always been deeply involved in church. Our parents taught us that faith isn’t just a Sunday morning affair, but shapes the way one lives in the world. After high school I attended USD and received a degree in Communication Disorders. I then moved to Des Moines, IA and served adults with developmental disabilities as a group home manager. I then attended Wartburg Theological Seminary in Dubuque, IA. I graduated in 2011 and received a call to serve as a solo pastor at Trinity Lutheran Church in Mobridge, SD. I served in Mobridge for 6 years. Sarah and I have been married for 13 years. We are parents to Emma (9) and Chloe (7). I like baseball, baking bread, music, reading, and writing. My family and I are happy to be in Watertown and anticipate further exploring and getting to know our new community. 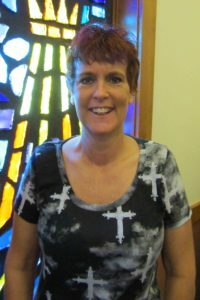 I have been involved in youth ministry for over 20 years. I have had the privilege of serving churches in Nebraska, Illinois & South Dakota. I grew up in Lincoln, Nebraska and graduated from the University of Nebraska with a degree in education. I am a HUGE Cornhusker and Green Bay Packers fan. When not at work, I enjoy spending time with my family, watching sports (football & baseball), playing with my dog “Luther” and participating in fantasy football and baseball leagues. I am blessed with the most awesome family. 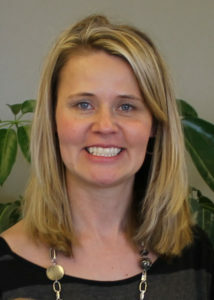 My wife’s name is Christy, who is the executive director of the Codington County Historical Museum. We have three school-aged children, Eden, Ella and Axel. Christy is from a small town (Eureka). She graduated from LATI in 2003. 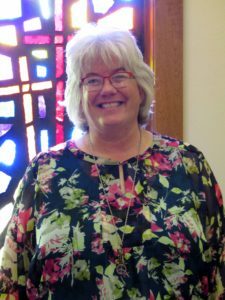 She operated a daycare for 6 years and started working at Lutheran Church of Our Redeemer as the Preschool Teacher Aide in the fall of 2011. Christy loves spending time with children and helping them learn! She’s married to Roger; they have 2 boys, Trevor and Tyler. Christy enjoys spending time with family. As Worship & Music Coordinator Robbyn gets to combine all of her favorite things…worship, music, the arts and technology. She has been blessed to have her avocation become her vocation! Robbyn loves to spend time with her husband, Ron, and their grown children, Prescott and Darian, along with her “fourth son”, their dog, AJ. In her spare time you can hear her singing around the community or on the air on KXLG Radio or see her riding her bike around Lake Kampeska. I grew up in Nebraska so as you can imagine I am a huge Husker fan!! Love my football. I moved to South Dakota in 1991 and lived in Mobridge for 22 years. I was the Manager of the Mobridge Ministerial Association Thrift Store/Food Pantry while living there. I have 3 children, one daughter, Faren, two sons, Tanner and Even. I have one Grandson, Ean. I moved to Watertown in August of 2013 to get a fresh start on life and start on my new adventure. I enjoy watching my young son, Evan, play in all the sports that he can. We enjoy camping, fishing, dirt track racing and watching all the football games that are on and attending as many as we can get to. I moved to Watertown, from a ranch near Gettysburg, SD in the fall of 1998 and graduated from LATI in 2000 with an Applied Associates Degree in Banking and Finance. I began working as the Administrative Secretary at Lutheran Church of Our Redeemer in April 2005. I have a super fun family; my husband Allan, step-sons Reilley & Fisher and our daughter Shelby. Our family loves to spend time together outdoors; fishing, camping, and riding bike just to name a few. I also enjoy scrapbooking and crafting of any kind. I graduated from Northern State University with a Bachelor of Science degree in Elementary Education with a minor in Early Childhood. I taught Preschool for four years in Mitchell, SD and Lakeville, MN. I then moved back to my hometown of Sisseton, SD and taught for nine years at Westside Elementary, spending the last four years in Kindergarten. My family then moved to Watertown, where I had the opportunity to stay home with my three girls for the last five years. I’m very excited to be here at LCOOR Preschool. I can’t wait to meet you and your child. I love spending time with my family and hanging out at our lake cabin and watching Minnesota Wild hockey. I was born and raised in Watertown, South Dakota with me being the only child. In 2008 I graduated from the Watertown high school and continued to work at Econo Foods until they closed. Then, I worked at Hy-Vee for about a year as the assistant night manager, after that I took a maintenance job at the WMS which I’m currently working full time and part time at LCOOR. When I’m not working I enjoy working on my house and doing stuff outside. I like camping, traveling fishing, car shows and everything to do with the outdoors.